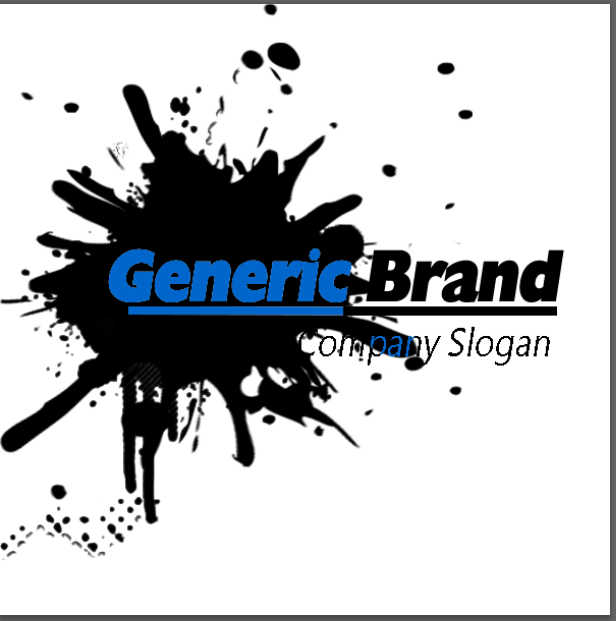 This is article is a step by step guide to converting an image to a vector suitable for use in printing merchandise, especially T-Shirts! As with almost everything else in design work, there are multiple answers. Each designer will have their personal tricks and ideas regarding the process of converting a bitmap file to a vector, and this is simply on method you can utilize. The easiest way to explain what is vector is, is to explain what a vector isn’t. There are two major types of images: Bitmap, and SVG or Scalable Vector Graphic. A bitmap- based image is comprised of a grouping of pixels on a grid. Each pixel (or bit) has a color and holds information about the image as a whole. Typically, most images are in a bitmap format. Common bitmap based formats are .JPG, .JPEG, .PNG, .GIF, .BMP etc. Conversely, an SVG is not made of pixels on a grid, so it can be resized to any size and it will never pixelate. An SVG image is and XML made up of complicated mathematical equations that specify the position of a control point or node on a given work plane. Its difficult to explain without some lengthy discussion, so for our purposes let’s just simplify it and consider that SVG images are basically made up of basic shape elements that can be resized without pixelating. 2. How does this relate to making t-shirt designs again? When you send off your design to a printing company, it is important that it is a vector, and not a raster (or bitmap) image, to ensure that the design never looks pixelated or low resolution. This is especially crucial when you’re talking about scaling up an image to huge sizes, such as creating a vinyl skrim, or banner, or even to a poster size for advertisements. For the purpose of today’s article, we will only talk about T Shirt Design. Once you have decided on a design you like, and have created it in photoshop or any other image drawing software, then you are ready to convert the image to a vector for printing. For our tutorial, we will go over converting a bitmap image to a vector image using Adobe Photoshop, Bridge, and Adobe Illustrator. 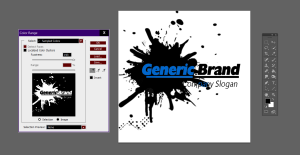 The examples I will show you use Photoshop CS6 and Adobe Illustrator . Step 1: Removing the Image Background. 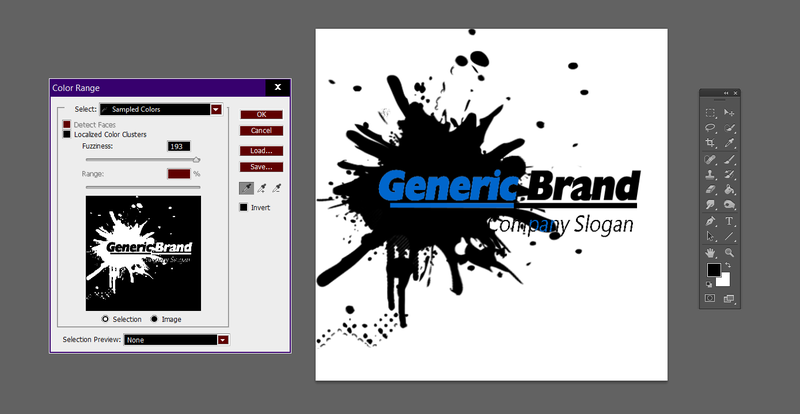 If your image is already configured with a transparent background, then skip ahead to step 2. Otherwise, start here. As you can see, the image has a white background, which is standard for most image formats. 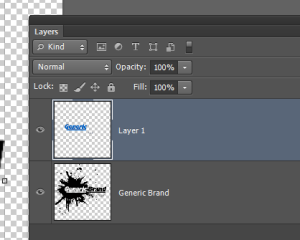 In order to make the conversion process a little easier, we should separate the design from the background in photoshop. 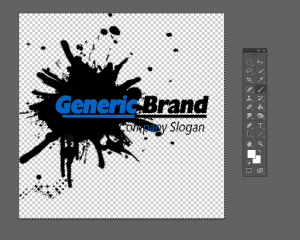 Because this image has no white in the design itself, removing the image from the background is a simple process. 3. Using the crosshair cursor, click the white space outside of the design. You can use the slider titled “fuzziness” to expand or contract your selection. 4. Once you have clicked on the white space around the image, The preview pane will show you your selection in white, and the rest of the image in black. Press ctrl or command +D to deselect the area. 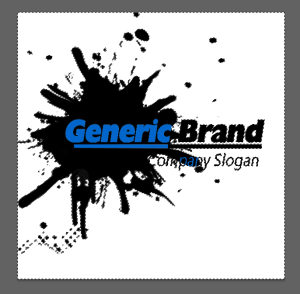 When you send your design to the printer, they will make a separate screen for each color on your image. 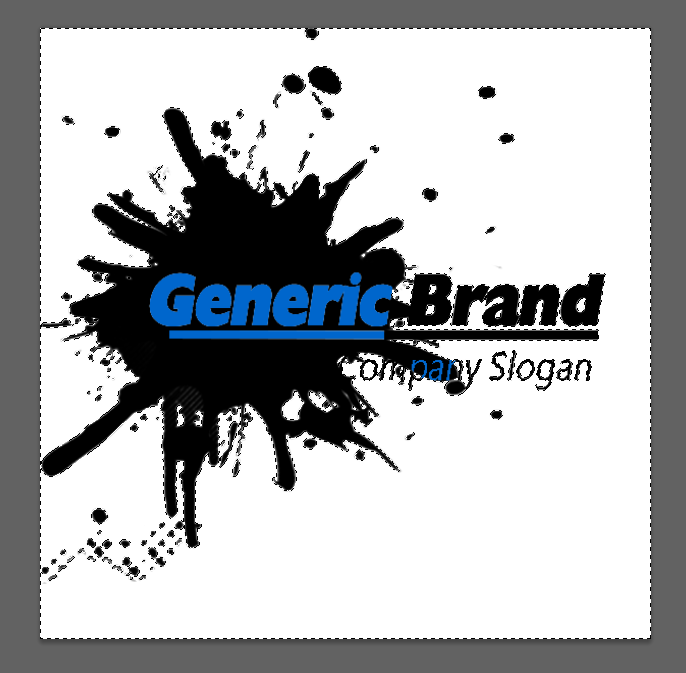 So in order to make an effective image to send to the screen printer, it is important to differentiate between the colors so they know which color goes where. 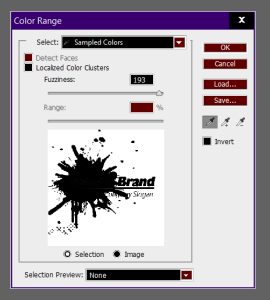 – In Photoshop, go to the top layer, and rename it the color that it will be in your design. 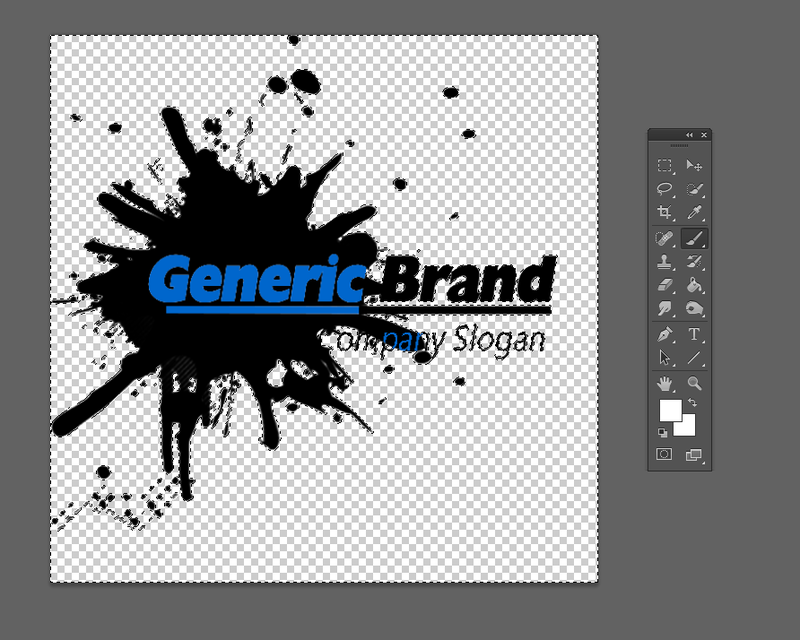 So we would rename layer one “Blue” and the layer titled “generic brand” “black”. And select the blue area. – Then, once the layer is selected, press CTRL +C or CMD+C and open your Adobe Illustrator Application. Go to file>save as>and save the .AI File, and to be safe, repeat this process and save it as an .svg file. Make sure your layer window is open in illustrator, and create a new layer. Go back to photoshop and select the black section, and paste it into illustrator on the new layer. Repeat the image trace>view>expand> process on a new layer for each color. Make sure to name each layer the color it will represent in your design. I highly suggest saving after each new layer is added in ai. There you have it!! You have a fancy new vector image that your screen printing company can use to make your design on screens, adjusted to any size! © Copyright 2015, Pixel Solutions Inc. All rights reserved. vector.